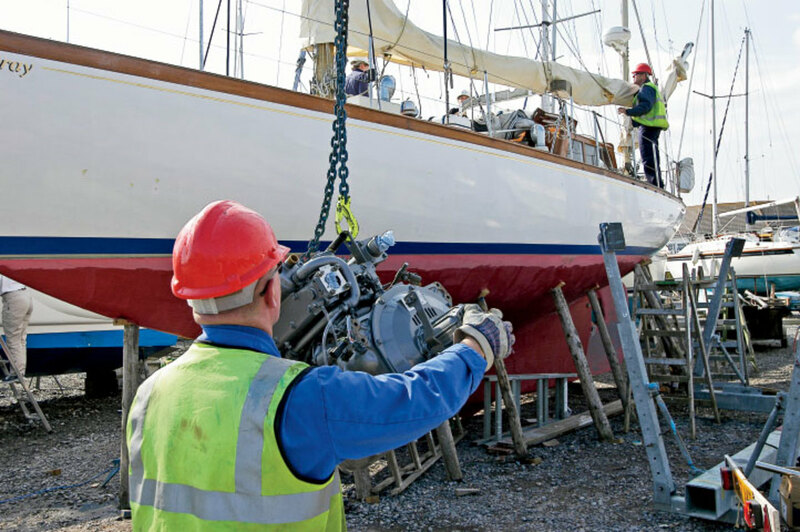 If you have your boatyard help out with repairs, upgrades and routine maintenance, you can often be one of the first to launch in the spring. 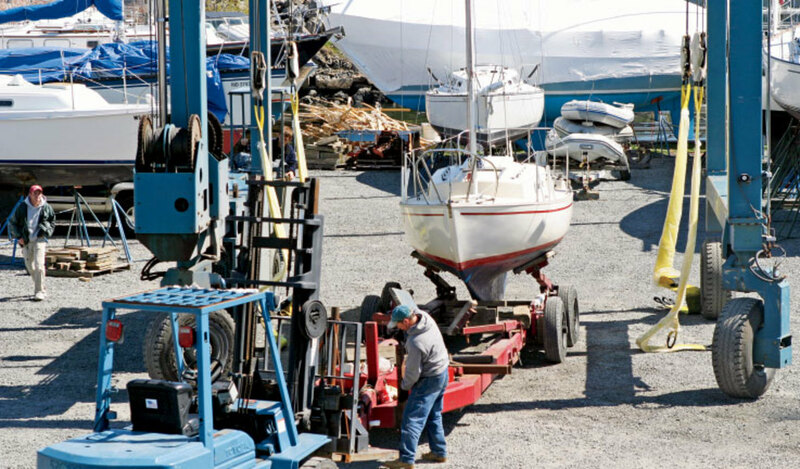 But you’ll quickly run aground if you don’t understand boatyard service departments and their standard operating procedures. Having both patronized and worked at boatyards, I’ve found most mix-ups involve information shortages and poor communication. Addressing these problems can save you both money and aggravation. Painting a boat may seem like a simple job, but there are a few issues to clarify before going forward. First, always ask your service manager what paint the yard workers prefer to use for any given job. You’ll always get the best results specifying the paint with which they have the most experience. If you’re not using a paint the yard is familiar with, discuss the paint you prefer to use with both your service manager and the worker who will be applying it. 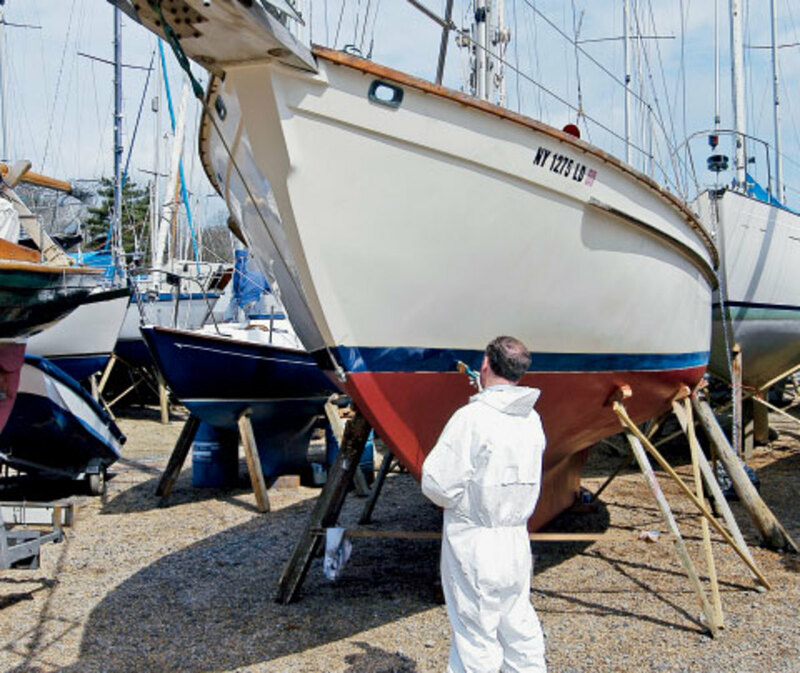 Renewing antifouling is usually straightforward, but trying out a new bottom paint may raise compatibility issues. For your topsides or deck, you’ll need to decide whether to use a two-part paint (more durable, but more expensive to buy and apply) or a simple one-part paint. Always be sure to specify the exact color you want using the paint company’s color chart and color names. It’s also important to discuss whatever preparation is required. Usually, this is the most expensive part of the job. If not performed properly, the paint may not adhere well and your money will be wasted. Don’t be tempted to try to save money by having the yard skimp on prep work. Finally, for a paint job or any other job, always agree on a cost estimate and an exact expected completion date. Put that and all other specifications in writing (a friendly e-mail will do) and send it (or hand it) to the service manager. Work requests given to workers often go astray. Paint jobs rarely generate changes in a work order, but engine repairs often do and end up costing the customer more money in the process. When discussing engine work, it’s, therefore, important to make the original work order as specific as possible. For example, telling your service manager you hear a new rumbling noise when you put the boat in gear is too vague. Try to pinpoint exactly where the noise is coming from. Is it only in forward, or is it a problem in reverse, too? Are you hearing it at all RPMs or just when revs are low or high? Did it begin after a grounding, a day in rough seas, after a long layup? Did it appear suddenly or develop over time? Having such information helps the service manager pinpoint where work should begin, eliminating expensive diagnosis time. It also produces a better cost estimate. A rumbling noise caused by a poorly tuned prop ($600) is much different from a rumbling noise caused by a failing transmission ($3,000). Still, work order changes are sometimes unavoidable. Therefore, be sure to request–preferably in writing–that the yard calls you before any work based on a changed order is performed. Again, written instructions needn’t be lawyerly or elaborate. Yard workers may take offense at work requests that are officious and meddlesome. Clarity is all that’s needed here. A customer once told the yard where I worked to install radar on his boat and “just call me when it’s done.” He clearly was accustomed to giving orders and not being bothered until the results were in. So we installed radar. Unfortunately, along the way it became clear that his electrical system was insufficient to feed a power-hungry radar unit. So we also upgraded his alternator and electrical panel, which roughly doubled the cost of the installation. Predictably, he was unhappy when the invoice arrived. Electronics upgrades often generate a need for a range of cost-increasing electrical system upgrades. At my old yard, we always asked if the customer wanted the Cadillac, Chevy or Yugo upgrade—best, better or adequate. When talking to your service manager about an electrical upgrade, it’s a good idea to ask for the good, better and best cost estimates. Also, be aware that workers may find serious safety deficiencies in your electrical system that should be immediately addressed. Electrical systems on older boats are notorious for being a tinkerer’s playground, with past owners or technicians taking sometimes dangerous shortcuts. If you question the need for such work, get a second opinion from an outside contractor or surveyor. Rigging upgrades may also require a second opinion, particularly if you plan to carry significantly more sail than before. For instance, if you want to add a large asymmetrical spinnaker that was never part of the boat’s original sail plan, it is wise to consult the boat’s designer, a qualified naval architect or a sailmaker to see what standing or running rigging upgrades are required to ensure the entire rig’s safety. Get the recommendations in writing so you can pass a copy along to your yard. Rigging opinions should be as specific and complete as possible, right down to the size and type of shackles and the brand and makeup of line to be used. Plumbing repairs frequently cost more than expected, and for good reason. Most service managers know a botched plumbing repair is a nightmare for both customers and staff. Toilets, sinks and cooling systems must work flawlessly, or the consequences can range from unpleasant to downright intolerable. Service staffs usually employ a “leave no stone unturned” policy when working on plumbing. For example, if your toilet stinks, don’t expect a simple $150 rebuild to solve the problem. Old hoses become permeable over time. Old toilets may be mounted over or near joinery that has absorbed years of spillage. Holding tank vents may be poorly routed—and so on. All this may have to be remedied to address a seemingly simple problem and might cost thousands of dollars. 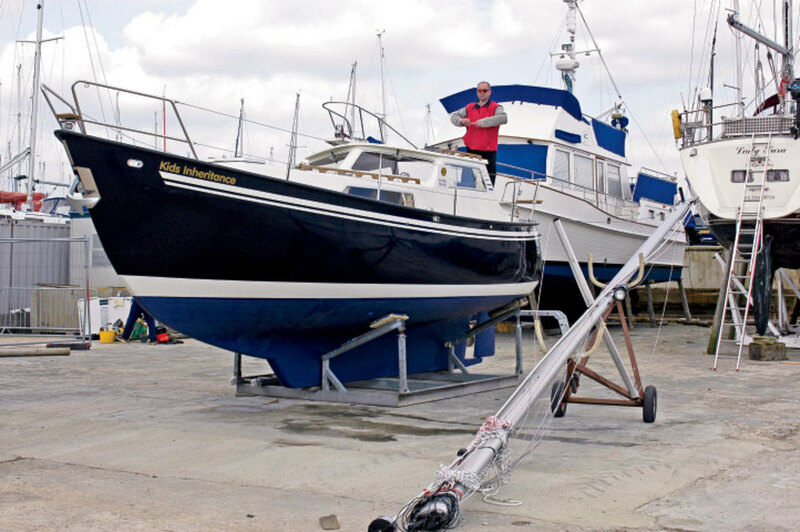 In the end, having a good relationship with your boatyard can make you a better sailor. Through this relationship, you will gain a better understanding of your boat’s systems and you’ll likely be better able to deal with emergencies aboard. Knowledge and good communication make life easier for everyone involved, whether your boat’s on the hard or running for the next mark.